In case you’re thinking of doing a venomous snake handling course, I thought I’d tell you about what to expect from the experience. You can find out more about groups that present snake handling courses in your area, at the end of this post. I’ve attended courses by both the African Snakebite Institute (presented by Johan Marais), and the Cape Reptile Institute (presented by Dr Tony Phelps) — most of the clips you’ll see in this video are from the time I attended the Cape Reptile Institute course. Handing a highly venomous Cape Cobra. After the written exam we had a hands-on identification test — there were a couple of snakes out on a table, we got to spend some time with them, look at them, touch them, and then we had to try and identify each of them correctly (which counted towards our final marks). 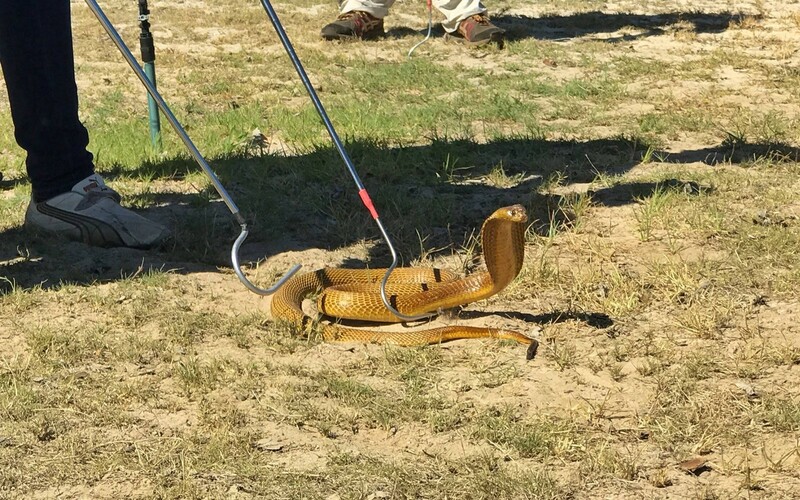 Guiding a highly venomous Puff Adder into a bin. As we practised, our instructor was able to tell us what we were doing wrong, help us correct our technique, and give us general guidance. 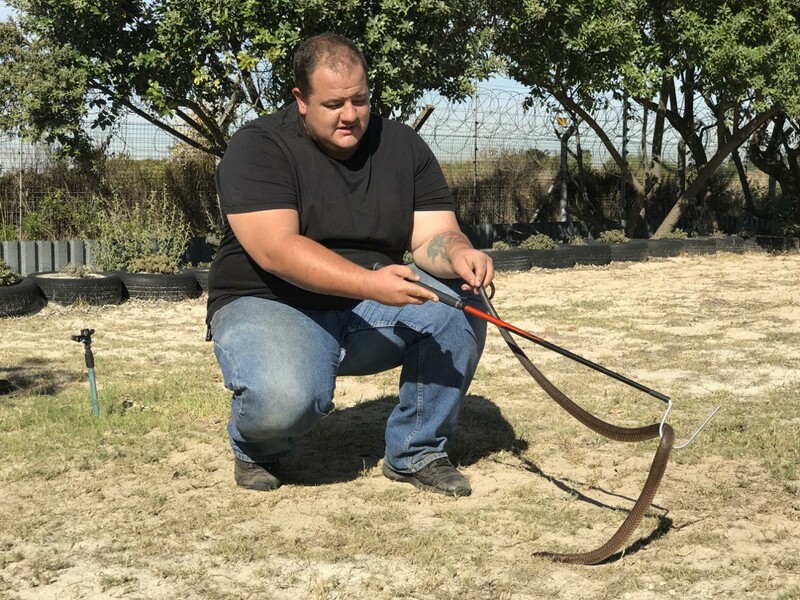 After we finished up with the Boomslang we moved on to a final practical exam where we were divided up into teams of two and each team was given a scenario where there was a snake hidden somewhere — the team had to go and find it, identify it, and then safely capture & contain it. 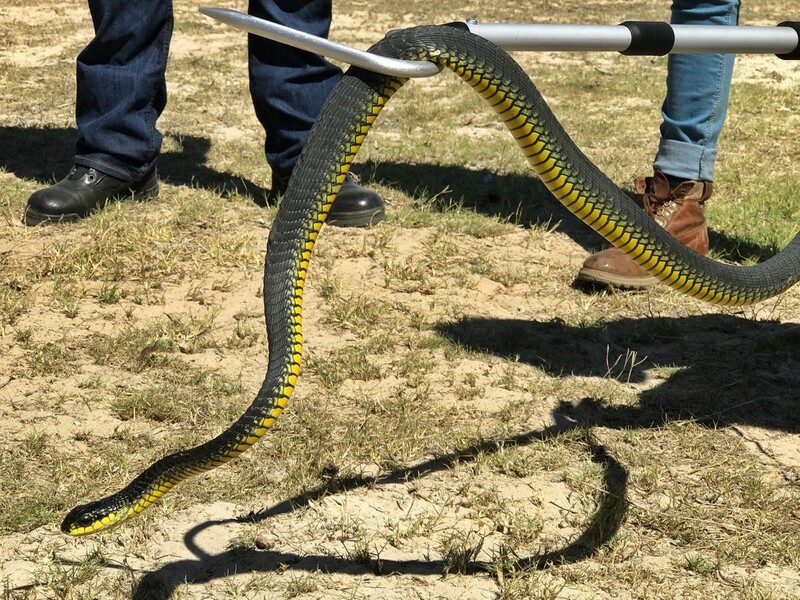 Handling a highly venomous Boomslang. There are a couple of institutions who provide snake-related courses in South Africa on a regular basis, send me a message and I’ll put you in touch with the one nearest you. If you like what you saw here, please subscribe to my YouTube channel and like my Facebook page, I regularly post videos of the snakes I rescue from people’s homes all over Cape Town, South Africa. 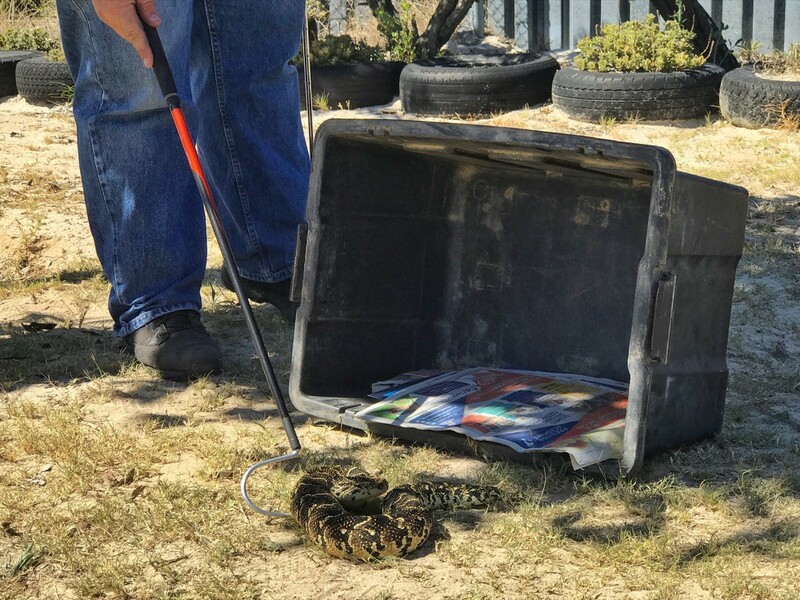 Originally published at bloubergsnakerescue.co.za on June 21, 2017.